Well, next year, will come to Shanghai to live with friends. Location, shopping, eating is easy. Old hotel, tone, and service was not good. Internal and external environment, fully equipped, very human sense of visitors feel at home. elections here next time. Have always liked hotel services vary, and of the circular dining room at the front desk for their bad service, bellboy and service very good. Hotel is very good, booked two days before, another day! Big names, parking ... recommended. Look at the exterior of the building from the outside is not new, which got a device when the five-star hotel rating, well Needless to say, the service is very good. very satisfied. Outgoing traffic is very convenient, is not the same as the old hotel, and complete in every way. Hotel in good location, facilities, service very good, will choose here to Shanghai with his family at a time. This hotel as I like, there is a say a flavor of old Shanghai. live very comfortable, breakfast was very good and service in place. the location is also very good, where convenient, Changle road walk 2 steps you'll have a new prosperous tea and Typhoon restaurant meals don't have to worry, Mao Ming South Road, Jiangsu and Zhejiang, guests can go to the meeting. A began didn't check to orders, later again ready has, to upgrade to Kam North floor, this are OK, to room deficiency of things aunt also are fill has, but zhihou room within small refrigerator bad has, rooms has a service personnel mean is will Xia, but in I complaints to lobby Manager Hou finally was to maintenance and for has, this is not happy, after all is birthday cake, room so high of temperature, put outside certainly will bad, other shower of facilities somewhat problem, toilet also has been leaking, overallIs concerned, there are still minor problems, WINS in convenient location! 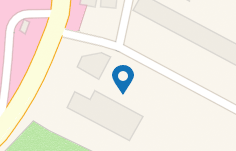 Location good! nice! shopping convenience! great! First on business and family, I have selected here, really love, like thick retro style. Good location, good environment, the only downside is the network charges. Service very poor service work negligence, to guests who pass the buck. disgusting Jinjiang hotel! Outdated facilities. and particularly bad service. most pits are hotel rates high did not say. a five-star hotel there's no Wi-Fi. network requires additional fee. 90 per 24 hours?